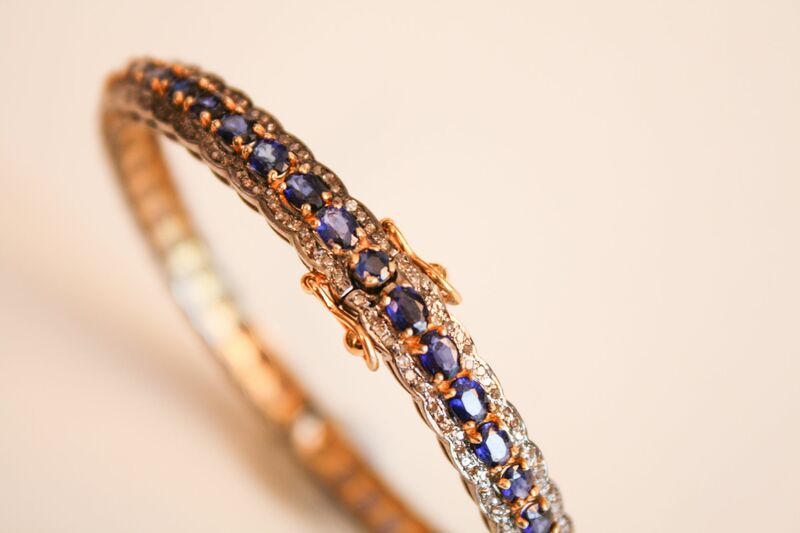 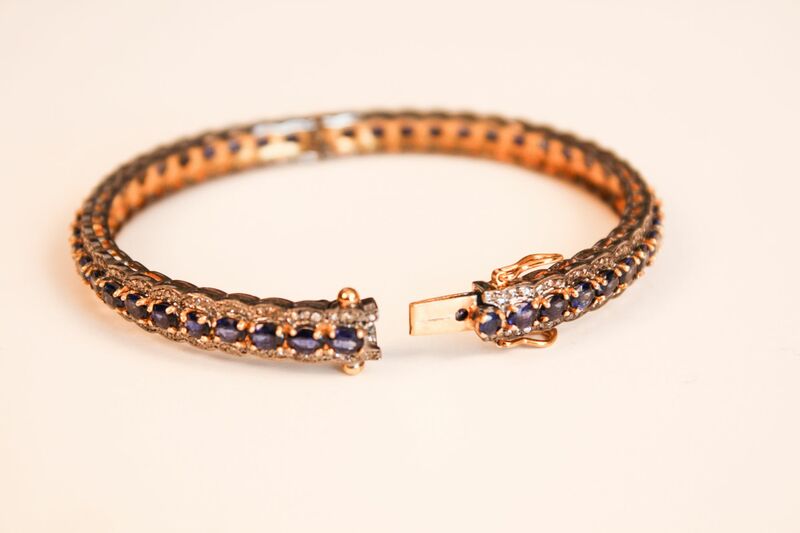 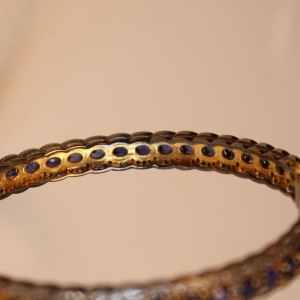 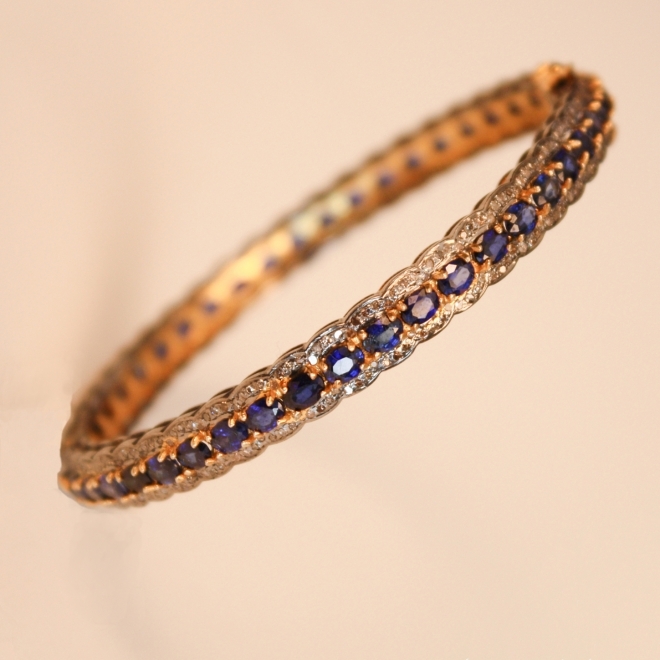 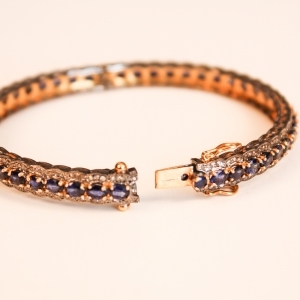 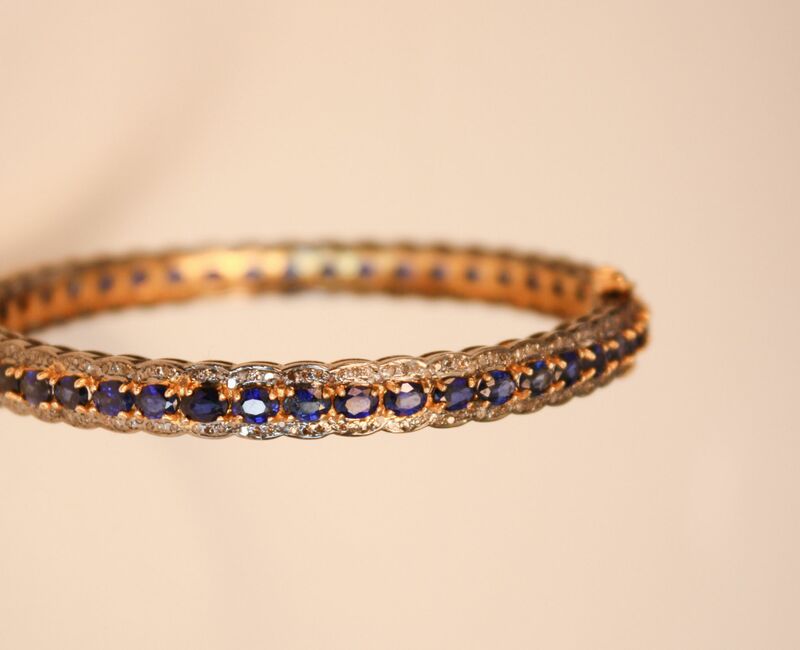 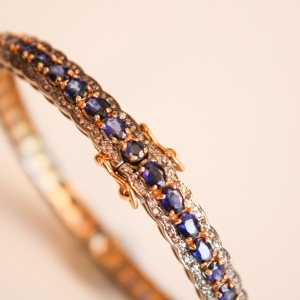 Faceted blue sapphires surrounded by single cut, pave set diamonds adorn this beautiful and wearable bangle. 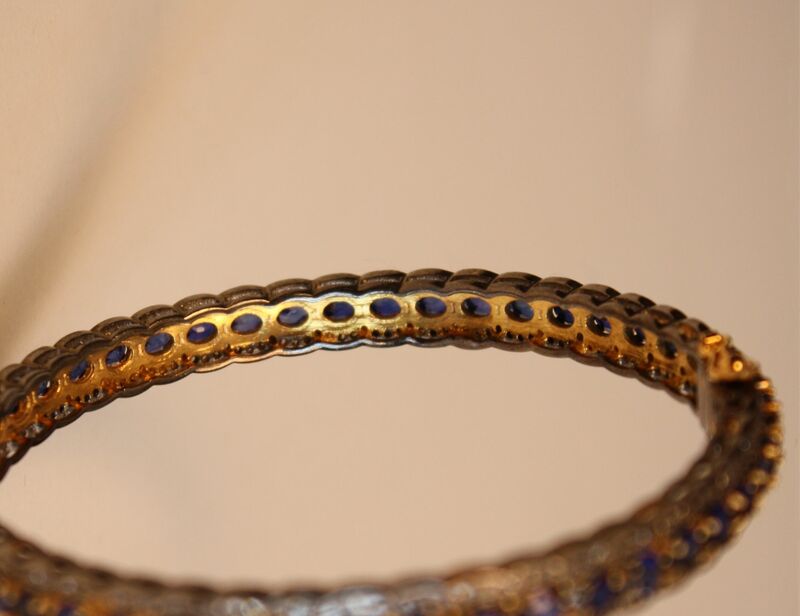 The gems are set in sterling silver and the inside of the bracelet is gold vermeil. 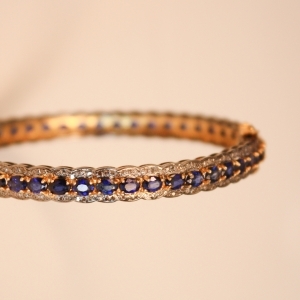 The safeties are 14kt gold.